What Home Addition Improvement Do You Have a Vision For? 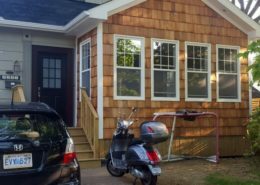 All-Craft Renovations offers a full suite of renovation services in Halifax including complete home renovations, kitchen additions and renovations, bathroom additions and renovations, bedroom additions, basement finishing, condo renovations, custom woodworking, staircases, and exterior renovations. With an intimate knowledge of the process from planning and design, through to all phases of renovation and completion, we provide the expertise and trades required to successfully bring your vision to life. Renovating your home is an exciting process, and our expert team is committed to supporting you by taking away the guess work and complexities associated with renovations. Our team is solutions-focused and maintains a strong attention to detail. When you renovate your home, the most important decisions need to be made before the work begins. With today’s housing technology, you can increase the comfort of your home significantly by making it more energy efficient. This means better living for you and your family, reduced maintenance costs, and protection for the environment. 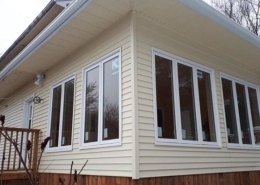 We believe that a home addition should be flexible to allow for all the different ways you wish to use it. Your home additions should also respond to the needs of your family through all the different phases of life. We create designer spaces and living environments within your home through innovative home addition planning and construction. If you’re looking for a more functional space, allow us to work one-on-one with you to enhance your image and bring it to a reality. We have worked on a wide variety of homes to add square footage to create new and improved living spaces. We take into account all the functionalities, necessities, and work with you to incorporate all the lavish amenities you crave into your newly renovated home. Our approach to quality home renovations emphasizes quality and flexibility. We let the needs, desires, and tastes of your family dictate the architecture and finishes. Your new change should reflect your individual style, cater to your family needs, and inspire your guests with your wow-worthy renovation. 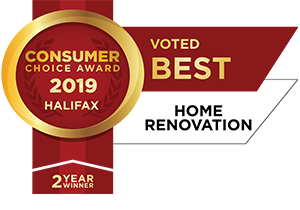 This is the benefit of choosing a design and build contractor with an extensive network of long-lasting relationships within the industry here in Halifax. We motivate ourselves by becoming thoroughly familiar with your home addition plans and your site. This gives us a firm hand on the schedule, the budget, and the expectations our customers have for house additions. We consistently monitor the progress and quality of home additions, providing progress reports and walk-throughs to keep homeowners well informed. We make customer service and communication go hand-in-hand with contractor skill, so that we not only get the job done right the first time, but also make sure you are informed at every stage of the project. Even though you can see it out the window, or walk around the job site, it can be misleading until we update you on what’s been done, what’s left to do, and when the job will be complete. With a good architectural design, and a good plan, we can adhere to the project’s schedule. We can’t control the weather of course, but we can plan for it. As Maritimers, we know our seasons. As weather delays may occur, we can account for them in our timetable. All-Craft’s renovation experience enables us to make certain that the products and sub-contractors selected are available without delay. 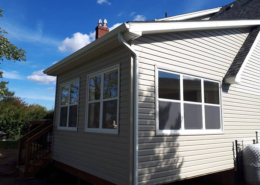 All-Craft Renovations excels at designing home additions in Halifax that respect the original charm, character, and style of your home while enhancing its functionality. With your satisfaction at stake, you can trust we will deliver the quality workmanship you insist upon. Ensure your new home add-on is a success with All-Craft’s committed team, innovation, and expert advice. If you are interested in a kitchen addition, learn more on the kitchen renovations page. If you are interested in a bathroom addition, learn more on the bathroom renovations page. 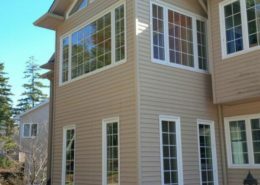 If you would to schedule a quote for a home addition in Halifax, please contact us today!